No matter Man is a creature of God or a reason of Science, he/she is from a random/an unknown past life. The most important thing is that Man and Responsibility should grow further from his own, family, society, to the world. That’s each institute’s responsibilities since home, university to others. Be a Man. A man has self-managing. Doctors do their jobs by managing self more than managing others. Self-Control is included for healthy environment, social responsibility and human right and for coorperation, TREAT Only. The truth today: Responsibility is rare; Bullying is a must for responsibility. Hazing initiation from SOTUS is used in half of Thai universities/colleges as a Norm that stimulates Nature, from a THREAT system to professional controlling and workplace bullying. It is for controlling them; You got a job from my Barking. “No more barking in Chula but bulling, abusing, threatening” a freshman 2011. Apply knowledge into practice. By this result, a true manger by random or a clerk with an award in Siriraj can be President of a university because its organization is driven by decision making every minute, an ideal organization in mgt textbooks. The truth today: Managers make mistakes again over again w/o responsibility. See Animal farm in mgt class and animal parties in mgt country. The More theories; The More Missed management. Stereotype is lectured professionally by a Doc; a Dog acts stereotypically by nature. Benefit for All fist, Self later. When a healthcare team works for All, there are more productivity. The culture, the most doing for long from self-managing builds a transparent organization with no gap advantageous the most to societies. The truth today: Irresponsible families and Ignorant institutes. The most play politics to defend self and institute benefit, judge others or make up faces rather than correct/solve problems then throw a burden, more RUBBLISH to societies. White System is opposite to Black System. For Earth, these words are the Gold Standard of Mankind. Be a Man is on topmost of everything. Only Man can solve problems, clean waste and create value that each institute has to take responsible to own child, followers, or members on Humanity. All cannot survive by doctors only; Being a Man only is vital for Overall. Inspired by words of Farther of Mahidol University. 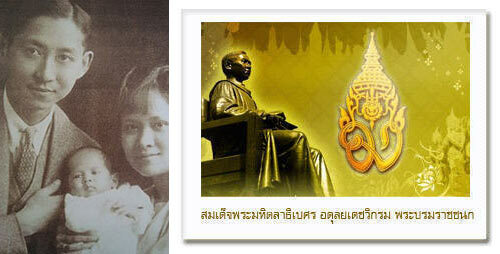 Father of Modern Medicine & Public Health of Thailand and Farther of Man.